In less than a month, we'll be jumping out of the summer season. However, hot weather’s transition will be slow and the lazy summer mood is still there. 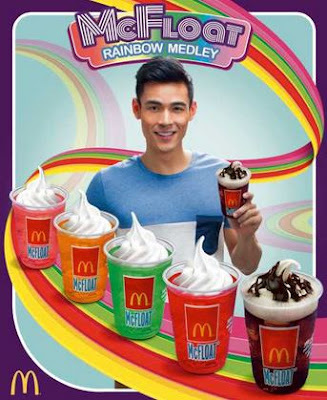 Combat the heat with McFloat Rainbow Medley, this year's summer feature beverage from McDonald's. Cool down on four fruity flavors - Green Apple, Melon, Strawberry and Lychee. Each flavor is filled with softdrink fizz and soft serve. 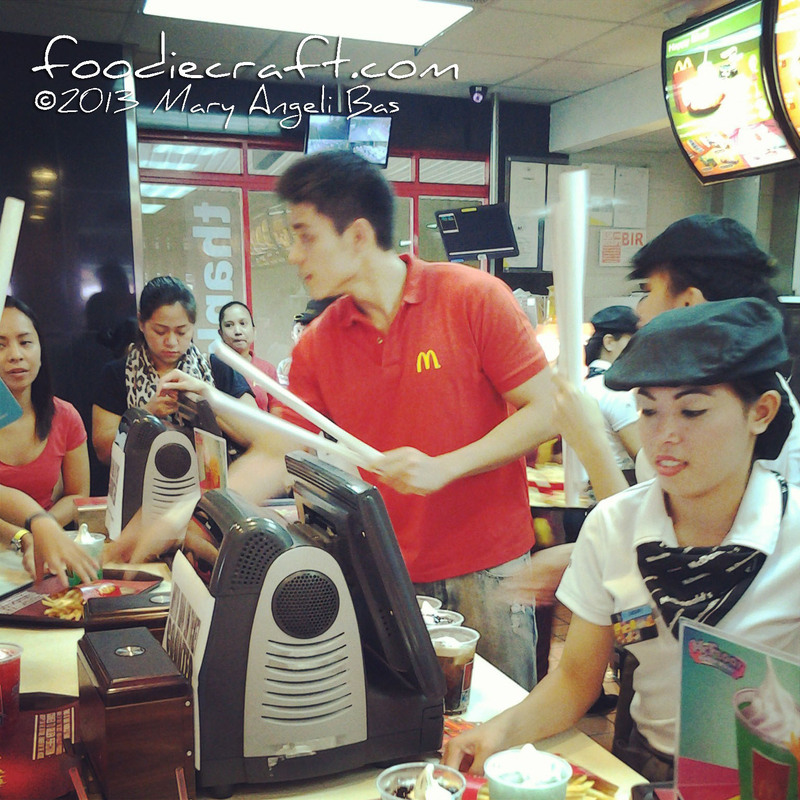 Last year's McFloat Summer Medley best-seller Cokefloat remains on the menu. Added fun! McFloat and Fries Combo is a filling snack to have. It's any McFloat variant with a medium sized McDonald's World Famous French Fries. This is available at a new price- Php60.00 (flavored McFloat and Fries) and Php55.00 (Coke McFloat and Fries). 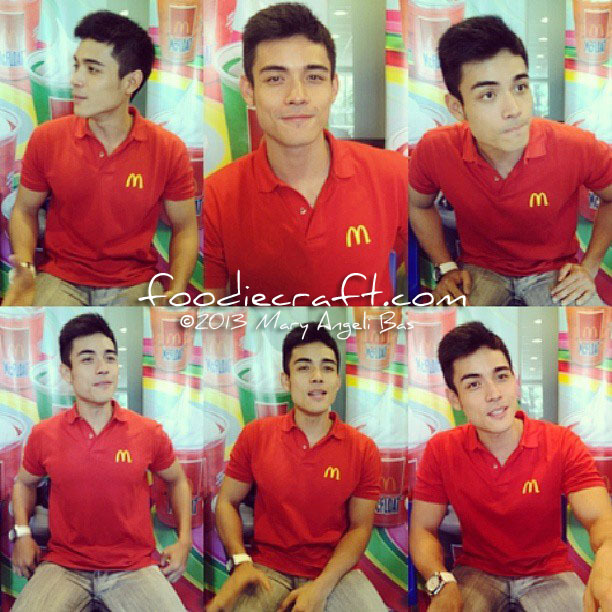 Today, Xian Lim - McDonald's McFloat Rainbow Medley Ambassador visits Cebu for the Visayas McDonald's Hangout. 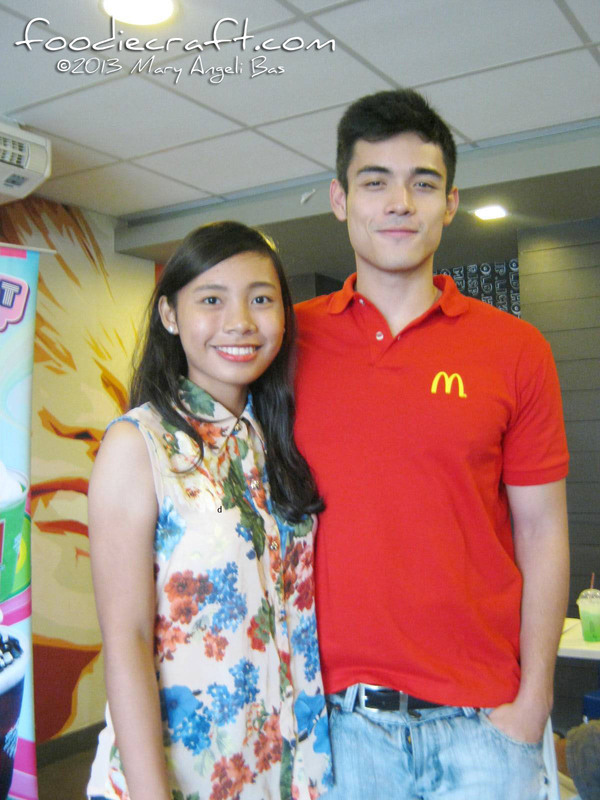 Xiam Lim, a fresh and youthful face in show-business took over the work of a regular employee at McDonald's Jones, Cebu. He served the lunch orders of five hundred customers and had a separate photo opportunity for all of them. Afterwards, I got to meet him personally. We chattered over lunch, about how it is to be part of the McDonald's family and many other matters. 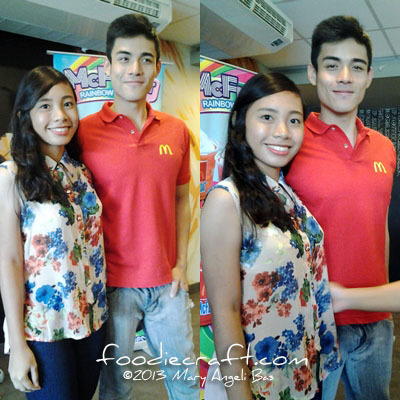 The staff and crew of McDonald's Jones, Cebu had a chance to mingle with Xian Lim too! They had solo pictures with him and short talks. In the video below you will see how one of the staff excitedly react as to how Xiam Lim sign his McFloat Rainbow Medley poster. Xiam Lim didn't have the luxury of time to bond with his Cebuano fans. But lucky for me and three other bloggers for we are given a chance to be with him through the whole time in the event. We took as many pictures as we can with him; and I even created a video clip (which I didn't include in the video below), talk so much about different fun things and have some materials autograph by him. Below are some of my pictures (from Instagram and Facebook) during the event. 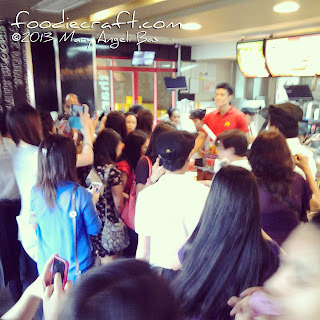 There were so many people (mostly girls) screaming and cheering for Xian Lim. The store was so full (except for the VIP area where we stayed). All flavors of the McFLoat Rainbow Medley are available in all McDonald's stores nationwide including Dessert Centers. Get them now via dine-in, take-out, drive-thru, or McDelivery by dialing 86-2-36 or visiting mcdelivery.com.ph. Did you win the contest they had for the meet and greet? :) I often buy pancakes and coffee at Mcdonald's for breakfast. He is a cutie indeed.